This post is authored by Alexandra Bro, research associate with the Council on Foreign Relations' Women and Foreign Policy program. The interview is part of the CFR Women and Foreign Policy program’s Women at the Table interview series—produced by CFR Senior Fellow Jamille Bigio and Research Associate Alexandra Bro—which features global leaders and U.S. diplomats who have contributed to peace and security processes around the world. The complete video series can be found in the CFR Women and Foreign Policy program’s digital interactive report Women’s Participation in Peace Processes. 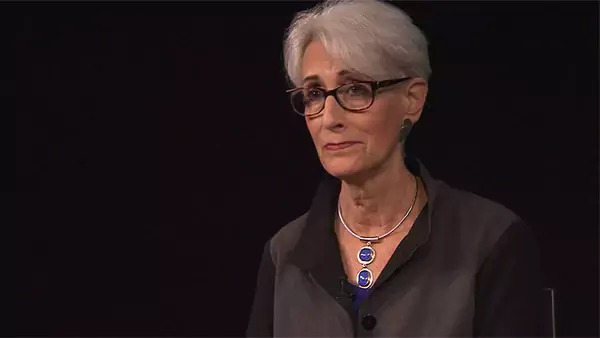 This interview is with Wendy Sherman, professor of the practice of public leadership and director of the Harvard Kennedy School’s Center for Public Leadership, senior counselor at the Albright Stonebridge Group, and senior fellow at the Harvard Kennedy School’s Belfer Center for Science and International Affairs. Sherman previously served as the first female U.S. undersecretary of state for political affairs and led the U.S. team in nuclear negotiations with Iran. You led the U.S. team in nuclear negotiations with Iran and were one of several female diplomats involved in the talks—what impact did women have on the negotiations? The Iran negotiations was coordinated by the high representative of the European Union. In the first instance, that was Catherine Ashton and in the second, it was Federica Mogherini. Their deputy was Helga Schmid, who was really the unsung hero of the Iran negotiations, and then there was me. So ultimately, women spent more time with the Iranians—an all-male delegation—than the men did. At one point during the negotiations, when we were working on the final details, all of the ministers had gone off to dinner while we went to work. And as we were coming back, we found out that the male ministers had said that they would have gotten the negotiations done a lot faster if they had been the ones doing it. We decided to just ignore the misogyny and get the job done. I think that one of the reasons we were successful in the Iran negotiations—until President Donald J. Trump decided to withdraw us from the Iran deal—was because we built a very coherent team. That was led, of course, by President Barack Obama, Secretary of State John Kerry, and Secretary of Energy Ernest Moniz. But my team of fifteen, which was backed up by hundreds throughout the government, was filled with women and men from all parts of our government with all kinds of talent. Everybody sat at one table. Everyone was part of how we were going forward. Everyone understood what each person’s specialty was and let them lead. But we all made decisions together. There were times, of course, where I had to make a final decision or point people in a particular direction, but my authority was not questioned. What advice do you have for other women looking to pursue careers in national security and foreign policy? I would suggest several things. First, get a core set of skills that you can then use in whatever you do in life, and have confidence in yourself. In my case, my training is as a social worker, community organizer, and a clinician. I have done a variety of things—from child welfare to presidential politics, and then many years in national security and foreign policy. If an opportunity presents itself that you really had not thought about, grab it and take it. The most interesting and amazing things in my life have happened because I was willing to go for it and not doubt myself. A growing body of evidence suggests that women’s participation in conflict prevention and resolution improves outcomes. In your experience, what difference what do women bring to decision-making processes in foreign policy and national security? I think that women in peace and security efforts are very focused on getting the job done. They are not focused on getting publicity or getting the next job. They are focused on getting the job done, which is how women live most of their lives. I think that sometimes when women are at the negotiating table, they have to understand the power that they have. Women tend to think power is somehow a dirty word. It is not. We should embrace it. It is how you use power that really makes the difference And I think that women inherently understand, because we tend to be about relationships and building a team is critical. Why have women historically been underrepresented in foreign policy and national security positions? Women have been underrepresented in foreign policy circles, in think tanks, in government, and in business, but that is changing over time. More women have entered the Foreign Service and made it into the upper ranks. When John Kerry was Secretary of State under President Obama, every regional assistant secretary was a woman (except for one) and most of the undersecretaries of state were women. In fact, I was the first female undersecretary for political affairs. It is really unfortunate that it took so long to get a woman undersecretary for political affairs, but it did happen. Now, that does not mean that women are always in the negotiating room. Oftentimes, special envoy positions are handed to men. Men are seen as tougher and people think that representatives from other countries are better able to deal with men than with women. That is actually not the case at all, and I think we will see that change. It is critical that we represent the diversity of the United States at the negotiating table and in high-ranking positions—that means women and people of color as well—so that we have all the views at the table. Why is it important for the United States to promote gender equality around the world? American leadership has been absolutely essential for getting gender equality around the world and peace and security for women. We know that one of the single most important metrics for rising gross domestic product (GDP) in any country is the education of girls. And the United States has been a leader in that effort—not only in terms of our foreign assistance, but through our work at the United Nations and through all of the international organizations and agencies. It is very difficult if the United States does not provide that kind of leadership. The world looks to us. They look to our freedom. They look to our Constitution. They look to our efforts on gender equality to move forward. I think it has been very important, for instance, that women have gotten to serve in the military and now can serve in combat missions if they are qualified to do so. I also think it has been very important that we have women senators, women members of Congress, and women governors, and I hope someday a woman president. It is important that we have been a leader on LGBTQ rights here in our own country because the LGBTQ community around the world suffers a great deal.